Clang's latest statement suggests that the best way to support development is to support Sixense's STEM Kickstarter. The entire appeal of Kickstarter is that you can fund unique projects while giving designers creative freedom to fulfill their vision. Unfortunately, being freed from the shackles of restrictive publishers doesn't always see projects to completion. The latest example is Clang, Neal Stephenson's successfully-backed swordfighting game that would use the Razer Hydra to mimic hacking motions. 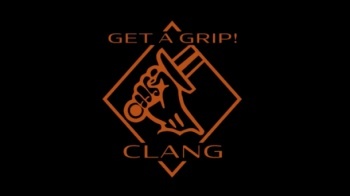 Clang backers were supposed to get an SDK and arena mode to play with in February 2013, which is the first clue that trouble was afoot. Now the dev team has released a statement confirming that Clang has been put on hold, despite raising over $500,000 during its campaign. "We've hit the pause button on further CLANG development while we get the financing situation sorted out," the update reads. "We stretched the Kickstarter money farther than we had expected to, but securing the next round, along with constructing improvised shelters and hoarding beans, has to be our top priority for now. We hope we'll be able to make an announcement on that front soon." The post goes on to describe the financial situation in some detail, but the core problem is that development has slowed until motion sensing technology catches up to Stephenson's vision for Clang. Since Clang's budget couldn't pay the team during the interim, developers had to take on temporary work, eventually turning the swordfighting game into an "evenings and weekends" project. The situation will likely stay the same until motion technology improves, or until the team secures additional funding. In the meantime, Clang's dev team is encouraging fans to back Sixense's STEM System, a wireless motion tracking device that will ultimately replace the Razer Hydra. The team also assures users that the project shouldn't be considered dead as long as its core developers continue to support it. "Paradoxically," the update reads, "we feel better about the future of CLANG now than we did when the clock was ticking down."